Suzette Robinson began serving as Interim Chancellor of Leeward Community College on July 1, 2018. 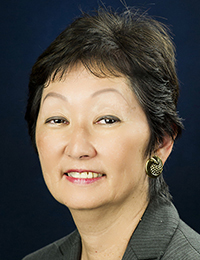 Since 2010, Robinson has been the director of academic programs for the University of Hawaiʻi Community Colleges system office. In this position, she worked in collaboration with the vice chancellors of academic affairs for the seven community colleges on efforts such as online tutoring, job placement services and the early alert program. She provided leadership with initiatives aligned with Achieving the Dream, the Student Success Pathways Initiative and career and technical education. Prior to her work in UH Community Colleges, Robinson served as UH Maui College vice chancellor for academic affairs, assistant dean of instruction, director of continuing education, chair of the Language Arts Division and director of the learning center. She earned her BEd and MEd in curriculum and instruction from UH Mānoa.